Machine control requires a variety of hardware and software components. We can help with components and design services for all of your control needs. The overview below is just that, an overview. If you have specified control requirements and you don’t find them covered here make sure you call us at 888-296-1295 to talk about what you need. 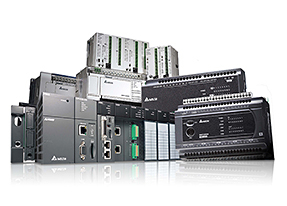 Our controller product groups offer you a choice of control ranging from simple systems with as few as six I/O points, all the way up to complete automation platforms capable of running entire plants with thousands of I/O. With a product solution to fit every budget, easy configuration software and expert on-staff technical assistance we can help you find the right product for your project. Whether you are looking for a simple text display, or a multi-media touch screen capable of recording machine events and playing training videos, we have the HMI for your application. 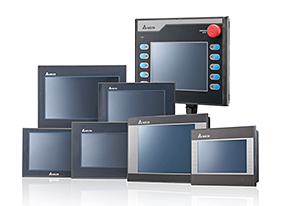 Easy to use software, drivers for virtually every brand of plc, state-of-the-art screen technology, and budget sensitive pricing make our HMI offerings even more attractive to own. Our manufacturing team specializes in turn-key control panel assembly. Offering design build and build to print services in our UL508A manufacturing facility. Learn more about our manufacturing services. Shop our store for control components or call 888-296-1295 to receive more information.